Connect, Communicate and Collaborate With Your Team. 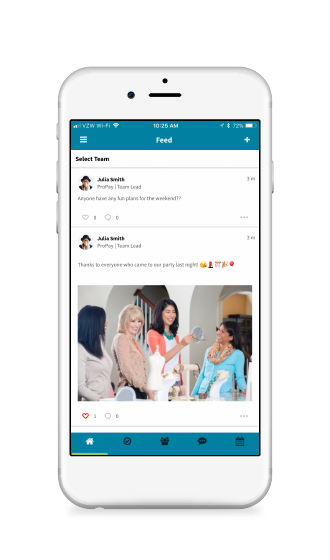 ProPay Link is a social app that allows you to efficiently communicate with your entire team. It is designed to make team collaboration more enjoyable by helping you focus on uniting teams and facilitating teamwork. ProPay Link is the best way to manage your team and take your business to the next level. 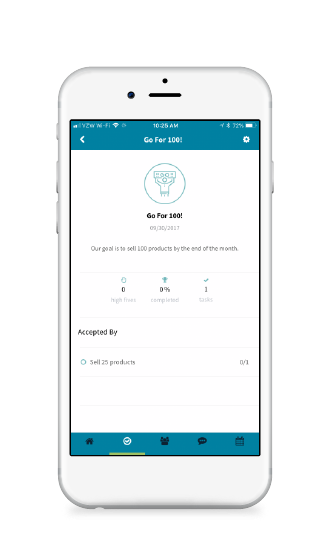 The ProPay Link App is designed to make the direct selling experience more enjoyable by focusing on uniting teams and facilitating teamwork. Communication is key to success. Whether it is providing training, conference calls, or posting a simple question, ProPay Link provides one location to communicate. Those without a goal are doomed to fail. But why only have personal goals? ProPay Link allows you to create team goals that can help motivate everyone. Those host events and are more personable are more likely to succeed. The industry is centered on being social. Teamwork is the key ingredient to success. Create camaraderie and trust by working together as a team. ProPay Link simplifies communication channels to make sharing information as effective and efficient as possible. The app’s simple to use messaging and conference calling features help everyone on your team feel included. It can be difficult to stay connected when you have team members spread across different cities, states or even countries. 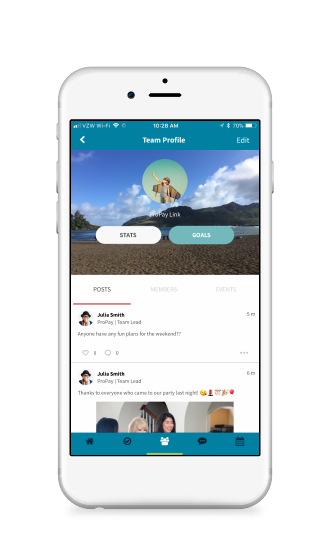 Whether it is sharing photos of your weight loss, or simply liking a post from another team member, ProPay Link offers a platform for you and your team to be as social as you feel comfortable. 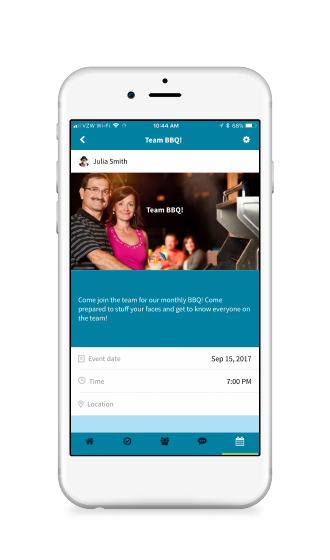 It even allows you and your teams to set events and make sure no one is forgotten. ProPay Link allows you to set and track personal and team goals. With these goals, teams can combine individual efforts for the success of the entire team. Whether your team wants to achieve more enrollments, trainings, or increase the number of product awareness events, we want to help. ProPay link is designed to bring people together and succeed as a team. It allows you to create as many teams as you would like. You can create a team for your top leaders or a team for the newest members. Teamwork is the secret ingredient to succeeding in your business. See what you can accomplish together and begin building your dreams.